"We are of the view that, as a normal Rule, the charge for the application should not be more than Rs.50/- and for per page information should not be more than Rs.5/-. However, exceptional situations may be dealt with differently. This will not debar revision in future, if the situation so demands." With regard to the requirement of disclosure of motive for seeking information, the Court ruled, "No motive needs to be disclosed in view of the scheme of the Act." The Court noted that the requirement of seeking permission of the Chief Justice or the concerned Judge for disclosure of information "will be only in respect of information which is exempted under the scheme of the Act". The Court opined that while normally the public authority should transfer the application to another public authority if the information is not available, the mandate may not apply "where the public authority dealing with the application is not aware as to which other authority will be the appropriate authority". With regard to the Rules debarring disclosure of information on matters pending adjudication, the Court clarified that "the same may be read consistent with Section 8 of the Act, more particularly sub-section (1) in Clause (J) thereof". The order was passed by the Court on a bunch of Petitions challenging the RTI Rules framed by various authorities. One of the Petitions, filed in 2012 by Common Cause, had challenged the Allahabad High Court (RTI) Rules, 2006, contending that these were ultra vires the Right to Information Act, 2005. It had then pointed out several contradictions in the Rules when compared with the Act. For instance, it had pointed out that Rule 3 restricted the information that could be sought on a subject, by laying down that "every application shall be made only for one particular item of information only". Further, Rule 4 had demanded that each application be accompanied by cash, draft or pay order of Rs. 500, drawn in favor of the High Court Registrar General or the District Judge of the concerned District Court. The Petition had highlighted the fact that this fee was 50 times the fee prescribed by the Centre, which had fixed it at Rs. 10. In response, the Allahabad High Court had amended the Rules to lower the fees to Rs. 250 per application. Similarly, the Petition stated that Rule 5 "impedes the common man's access to information" by prescribing Rs. 15 per page as the cost of dissemination of information. 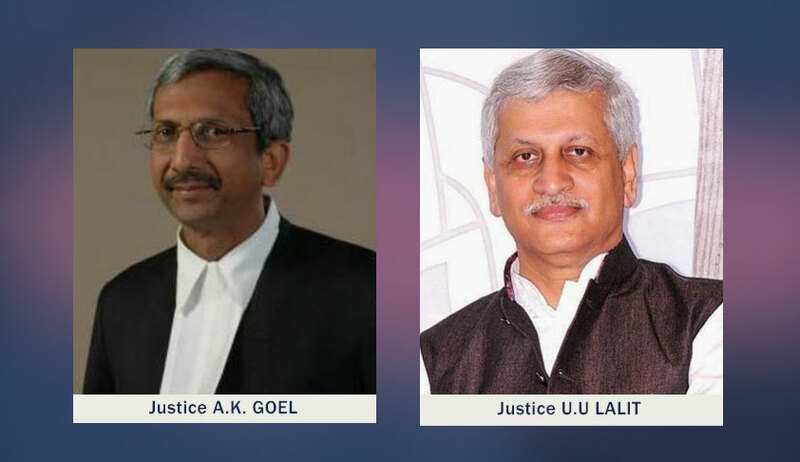 In a similar vein, it had challenged Rules 5, 20, 25, 26 and 27 of the Rules, asserting that these were in clear violation of Article 19(1)(a) of the Constitution of India as well. While this petition was pending, another Petition was filed challenging the Chhattisgarh Vidhan Sabha Secretariat Right to Information (Regulation of fees and costs) Rules, 2011. Filed by Mr. Dinesh Kumar Soni, the Petition had contended that the Rule requiring an applicant to pay Rs. 300 was ultra vires the Act. The Rule, it had contended, had the "effect of abridging and infringing the right to information, thus, subverting the very object of the Act". Similar petitions challenging the RTI Rules of the Bombay High Court and Legislative assembly of Uttar Pradesh were also filed before the Apex Court and were subsequently tagged along with this petition. Ruling on all these Petition, the Apex Court has now directed all Government authorities to cap the application fee at Rs. 50 and the fee for photocopying documents at Rs. 5.